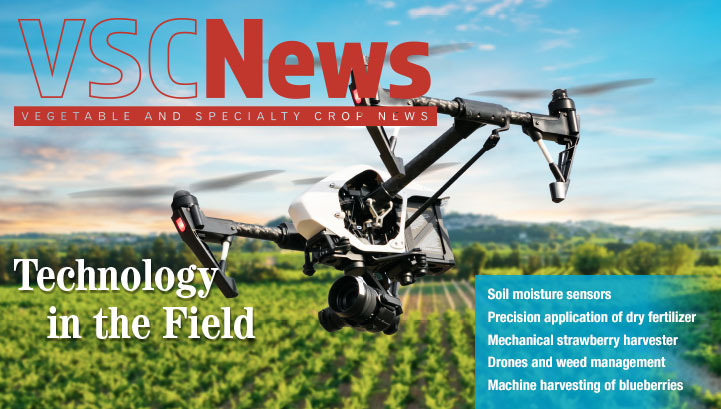 The July issue of VSCNews magazine explores new technologies emerging in the field. Charles Barrett, an Extension agent with the University of Florida Institute of Food and Agricultural Sciences (UF/IFAS), discusses his research with soil moisture sensors and how this technology can help improve irrigation practices. Precision application of fertilizer is on the horizon. UF/IFAS professor Arnold Schumann and his co-authors discuss equipment that only makes dry fertilizer applications to the crop, thus avoiding weedy patches. The article gives an overview of the applicator and its potential in the industry. Mechanized harvesting continues to be a hot topic as labor issues become more prominent. Growers are beginning to look toward technology as a solution. Abbey Taylor, VSCNews magazine assistant editor, reports on the up-and-coming mechanical strawberry harvester created by Harvest CROO Robotics. Gary Wishnatzki, Harvest CROO co-founder, explains how the machine works and what it could mean for the future of the strawberry industry. Also on the subject of mechanical harvesting, Doug Phillips, blueberry Extension coordinator with UF/IFAS, discusses what it takes to breed a blueberry suited to mechanized harvesting while offering market appeal. 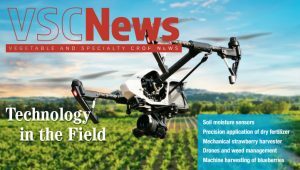 Ramdas Kanissery, assistant professor in the Horticultural Sciences Department at UF, explains how drones can help growers manage weeds. The Seed Spotlight returns in the July issue. This article gives an overview of the recent Seedsman Seminar and its focus on seedborne disease issues. 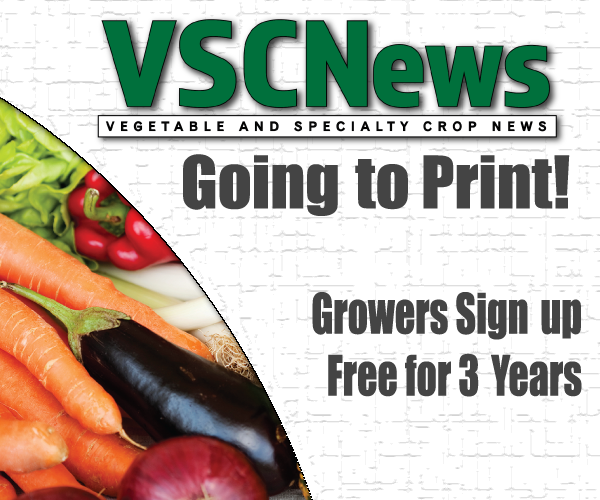 To receive future issues of VSCNews magazine, subscribe at VSCNews.com/subscribe/.